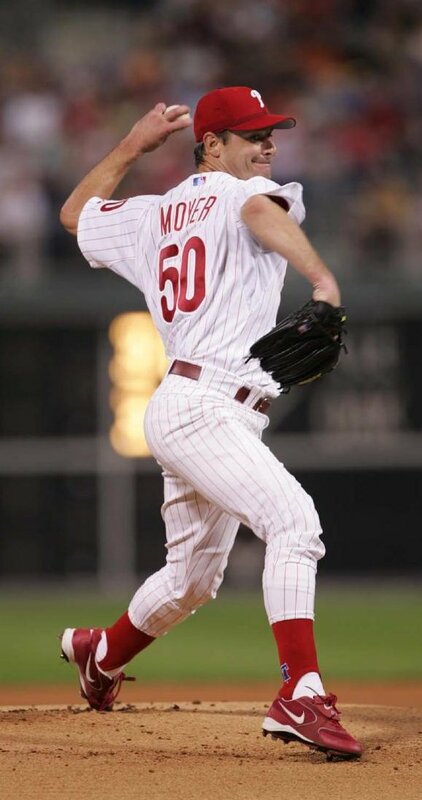 Please join me in wishing Jamie Moyer a very happy 50th birthday today! Here’s to a year filled with much health and happiness – You certainly deserve it!!! A few weeks ago I had the opportunity to join Jamie, Karen and their family & friends in Las Vegas to celebrate #50 turning 50. Karen, along with the folks at The Moyer Foundation, put together their annual Celebrity Golf Classic with a twist! Not only was the event a fundraiser for the foundation, it was a SURPRISE toast & roast in honor of Jamie’s big day! My husband and I made the trip from Philadelphia along with 2 of our good friends who had never been to Las Vegas and had never attended a Moyer Foundation Event. We were so excited to not only show them the town, but to also show them why we are so passionate about doing all we can to support Camp Erin and The Moyer Foundation. For those of us who have had children attend Camp Erin, the difference it makes is obvious. We have seen the results of their work first-hand. We have seen how Camp Erin has impacted our children’s lives. We know just how much of a difference it makes to meet and connect with kids just like ours. We understand just how crucial Camp Erin is to grieving kids. We get it. What I noticed that night however, is that so many of the folks who were there, supporting the foundation and bidding on the auction items, were people who had experienced loss earlier in their lives and had wished Camp Erin had existed when they needed it the most. So many of the generous people there that night were there because they know how important it is to give children an outlet to grieve. They know how it felt to be the only one in their class to have lost a parent or a sibling. They know how much they would have loved to have met other kids who were just like them. My husband and I try to go to every Moyer Foundation event we possibly can because we know that our presence and our support will help other grieving children. We also commit ourselves to spreading the word and encouraging everyone we know to learn and support Camp Erin and the other wonderful programs that The Moyer Foundation has created. That night, our friends who generously made the trip from Philadelphia to Las Vegas got it. They understood why we do what we do and they left the event that night with such a deep love and appreciation for the generous work of Jamie, Karen and all of the caring folks at The Moyer Foundation. I hope that if you ever have the opportunity to attend a Moyer Foundation event, that you do so with your friends and family. It is an experience that will touch your heart and your soul. I also hope that if you have the opportunity to give back by spreading the word or hosting your own fundraising event, that you know your efforts will not only be appreciated, but will make a difference to children who so desperately need it. So Happy Birthday Jamie! Cheers to a man who is not only a great father and athlete, but also an amazing role model and advocate to our children. Thank you for all you do! Happy Birthday! God Bless you and your Family with many more healthy and happy years to come.